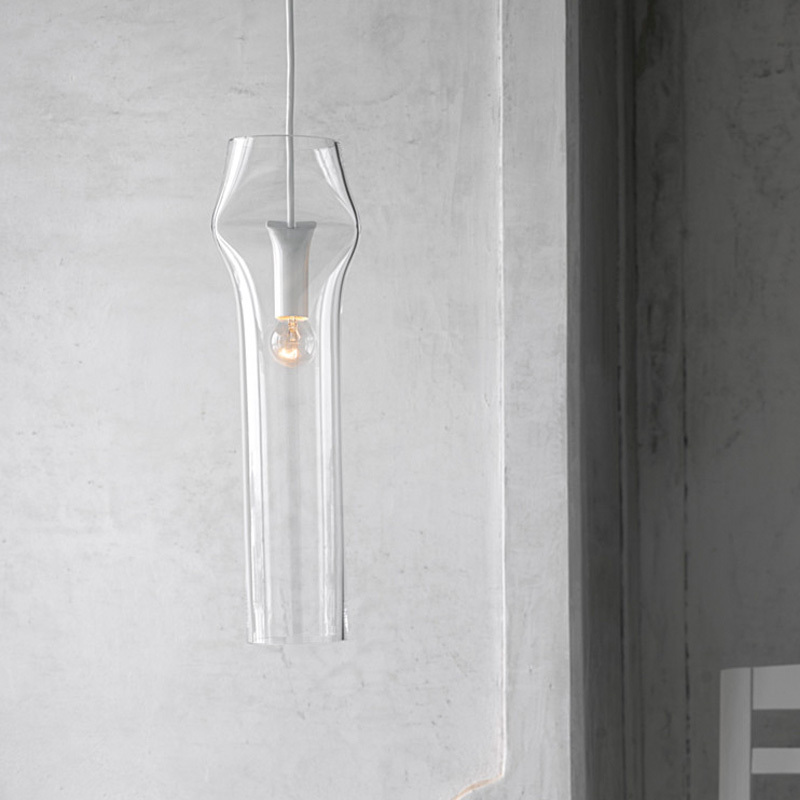 The Press Lamp features a distinguishing design, formed from glass tubes pressed as though they were pinched and the light source streams through the resulting narrowed space. The precise bend in the material allows for no additional necessary structural support. 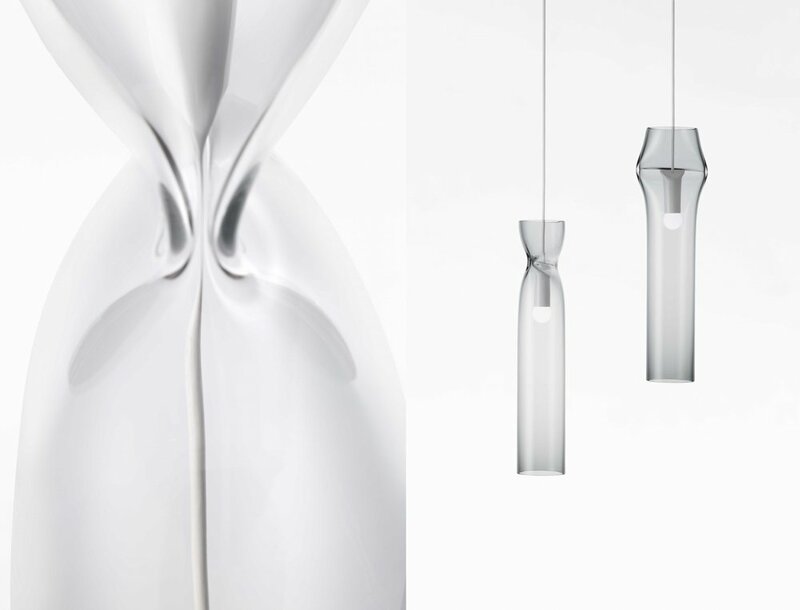 The light outfit and the compression of the glass produce a soft, organic form resulting in a singular appearance. 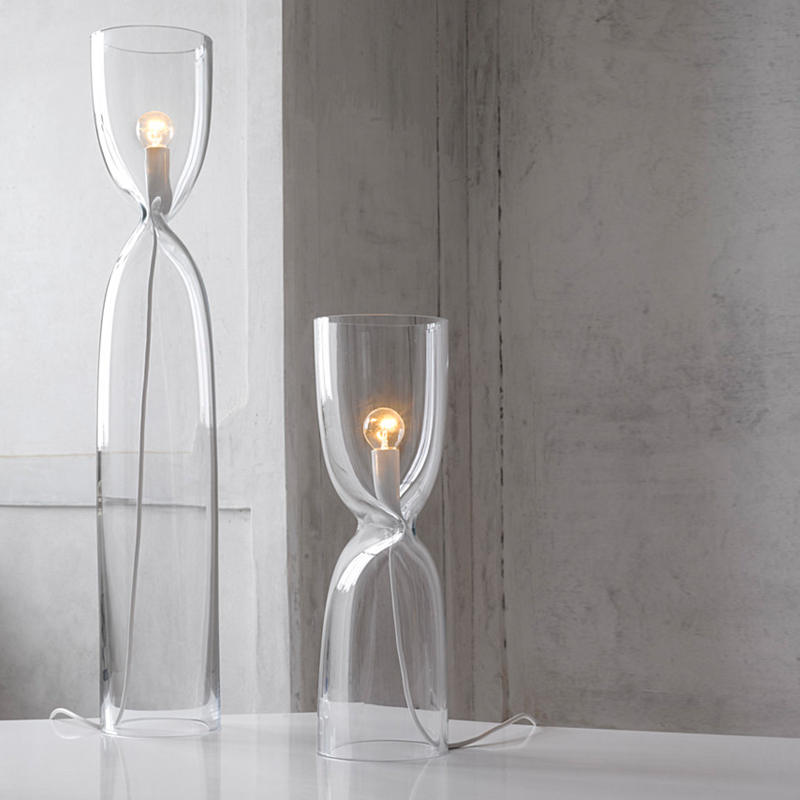 Designed by Nendo for Lasvit, each lamp is unique, as the glass pieces are blown individually by artisans at Czech firm Lasvit's atelier. The Press Lamp exemplifies Nendo’s fresh design philosophy, a concentration on pure forms that are well suited for every day life rather than a focus on mass production. 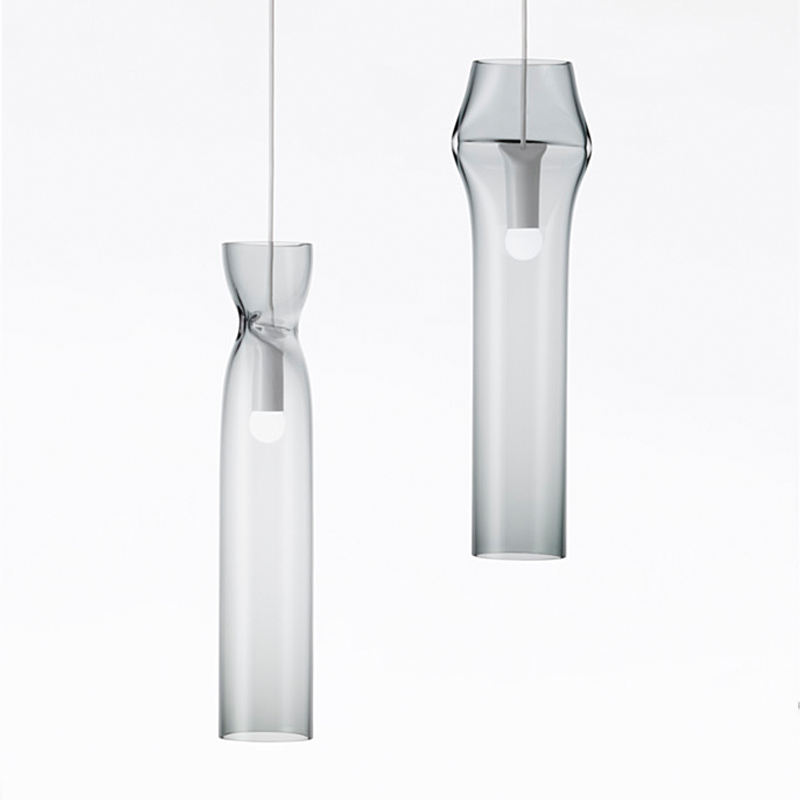 The Press Lamp is available in both a pendant lamp and a floor lamp version. The suspension style hangs from the pinched section, while the light source of the floor lamp balances in the fold.